Instant Pot Cilantro Peas Rice! 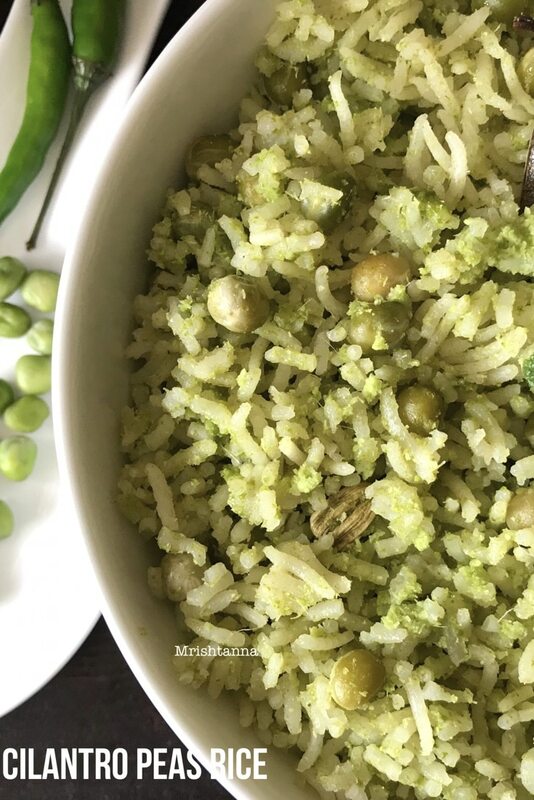 You are in for a treat today with â€œCilantro Peas Riceâ€ prepared with Instant Pot. Cilantro Pea’s rice is very simple and flavorful dish. A few flavorful spices in a cilantro, coconut and green chili base make a powerful combination that is bursting with flavor. The procedure is so simple that it took less than 30 minutes to prepare. This dish is quite common in Indian cuisine, but a vegan version is a very rare find. 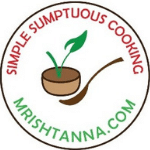 Most recipes call for spices to be sauteed in â€œgheeâ€ or clarified butter. But the real flavor for peas rice come from the spices that you add to the rice. Try this recipe and you will know what I mean. But before you start, please note that the recipe calls for a little bit of prep work. You would have to soak the rice for at least 30 minutes and the peas for at least two hours. Although it seems excessive, it is necessary to soften the rice and peas ahead of time. You could instead go with canned peas, but they tend to get overcooked sometimes. Once you are through with the prep work, the rest of the procedure is a breeze with the Instant Pot. Watch my video clip for easy reference. This can be prepared in a regular pressure cooker as well, by leaving it to cook to 1 whistle and let it cool gradually. As for vegetables, I chose to go simple with just peas, but you can also add finely chopped carrots. A little bit of fried onion will also add to the taste. Try your version of Cilantro Peas Rice and let me know how you like it. 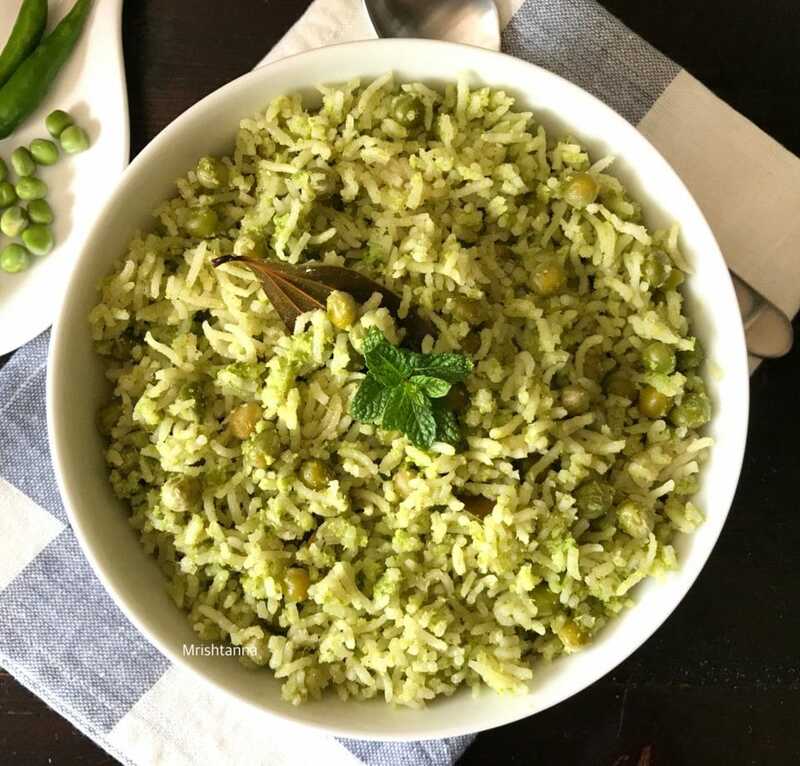 Cilantro Pea's Rice is very simple and flavorful dish. A few flavorful spices in a cilantro, coconut and green chili base make a powerful combination that is bursting with flavor. Soak peas in hot water for 2 hours or soak overnight and soak basmati rice for 30 minutes. Wash cilantro leaves (coriander leaves) and chop them finely. Blend them with coconuts, garlic, green chilies and 1 cup water to a smooth consistency and place aside. Add oil to an inner pot of Instant Pot. Press â€œsautÃ©â€ setting as the oil heats up, add cinnamon, green cardamom, and bay leaf. Stir constantly for 30 sec. Drain the clean, soaked rice and peas and continue to stir for a minute. Add the cilantro paste and mix evenly. Add water and salt. Stir well. Close the lid of the instant pot. Turn the steam release handle to â€œsealingâ€ position. Press â€œpressure cookingâ€ setting and set the time for 4 minutes. When time is up open the lid using 10-minute natural release. Enjoy Cilantro Peas Rice is ready! Serve hot with your favorite side dish!